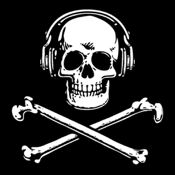 Free Pirate Sounds is a collections of sounds you normally would hear on a pirate ship. These sounds can be play in loop and simultaneously. This app is great for all ages. Rather you are preparing for your next sea voyager or teaching someone the code. This app is for you. Enjoy.